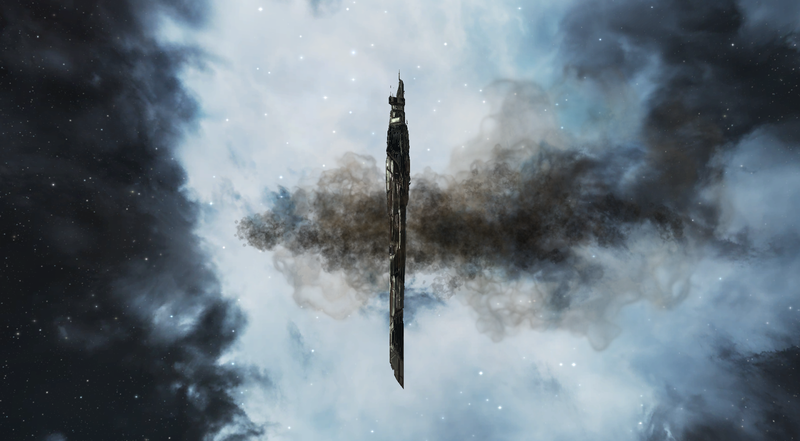 I decided that I wanted to see one of these uncloaked structures before the entire story changed or something and they went away. So, this weekend while moving an alt from one spot to another I decided to rebel against my orderly plans of market stocking, blue print copying, and mineral hauling. 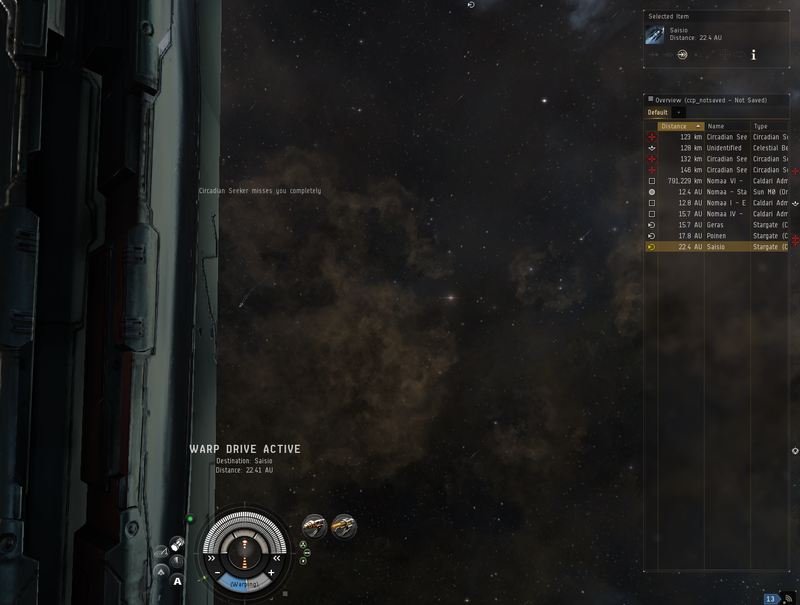 I would see some of the Eve Online that I've been so invested in and playing so little of late. My mighty Impairor undocked. 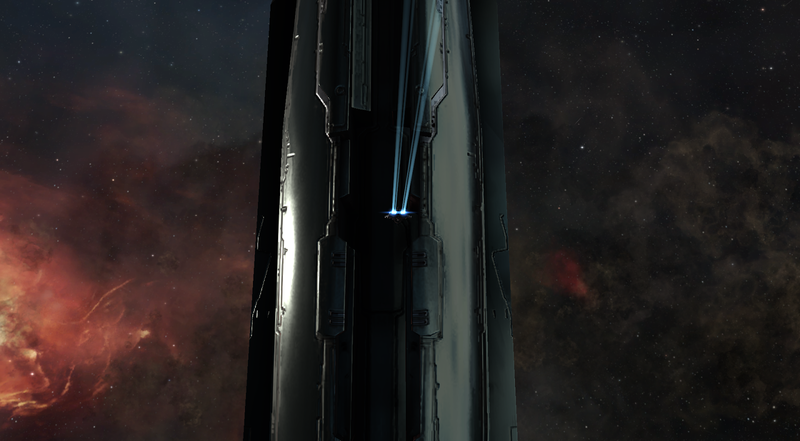 Bright and sleep it lept through stargates, charged through the depths of high sec on my stealth mission for adventure. While it looked as if it had things to do there was a secret agenda. In each system I scanned my overview until suddenly, I saw it. Boldly, nay defiantly, I broke free from my autopilot route when I saw my first unidentified structure on my overview. Bold Impairor. Fly golden bug. And fly it did with nothing but its civilian miner and laser it flew boldly towards the unknown. I've heard about how big the uncloaked structures were. And they are amazing slender needles that sit in space surrounded by a cloud of dust. I learned that the beacon was 134 off of the structure. That did not stop me. My Impairor switched to its main engines and slowboated as only a rookie ship with an alt with no navigation skills can creep across 30k of space until I could use the 'look at'' command. Pretty amazing stuff. I love it. I hope that we can look at a redo of stations at some point. I know that the art assets will have to be redome but I still want it anyway. I also knew that these things could be dangerous. I felt a thrill. Would drifters spawn? Would they challenge my bold Impairor? So sleek. Pewter tinted with greens. It is more gold against the blue of the Caldari nebula. I bounced off of it. Oh noes! An attack! Panicked I fled. Run bold Impairor! 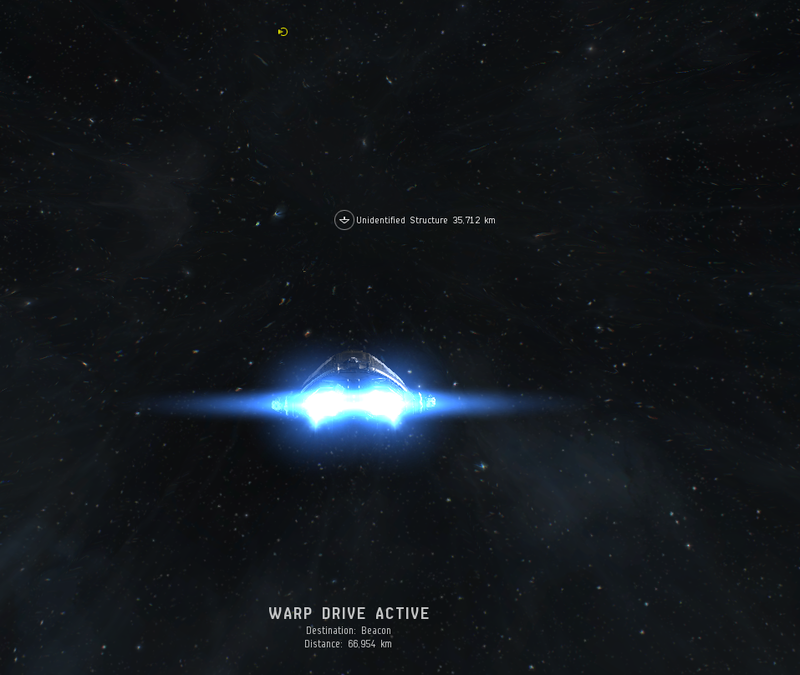 It will take you long enough to get into warp that they will cross that 100k and actually hit you at some point. Run Impairor run! Escape into the night! I made it away. So close did they come. 123K off as I slipped into warp. I feared they would follow but I landed upon the Saisio gate alone. And I jumped. Good by unidentified structure. Thank you for the adventure. Thank you as always for writing and sharing your experiences. I appreciate your open-mindedness and style. Keep up the good work on the Blog and CSM! 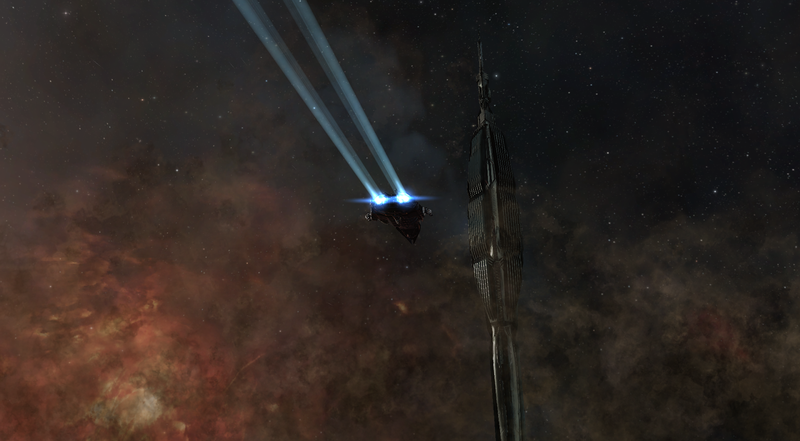 I love how CCP Games is tying in the emerging lore with the ongoing development of EVE Online. Can't wait to see how this new story with the Drifters evolves.